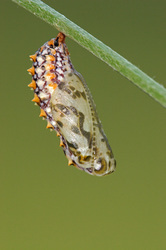 In the summer of 2005 I visited the Dordogne region in France. 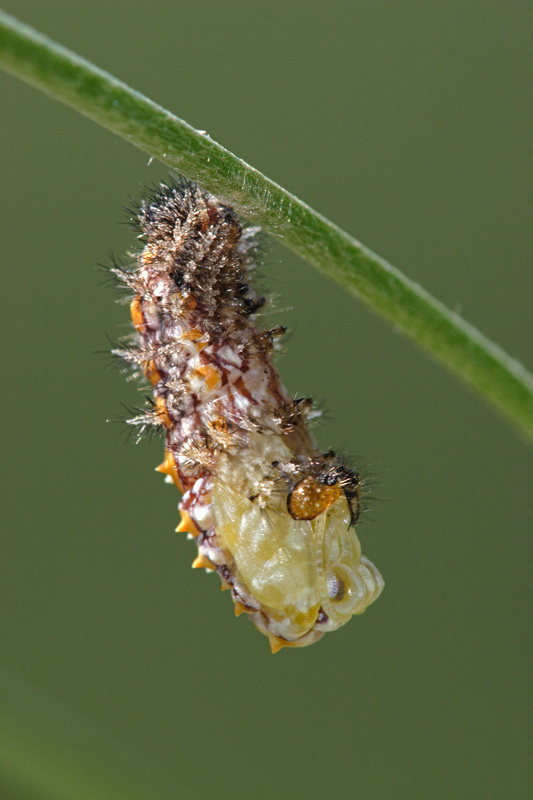 After arrival I walked around and in the grass I found a caterpillar which seemed to be in a hurry. 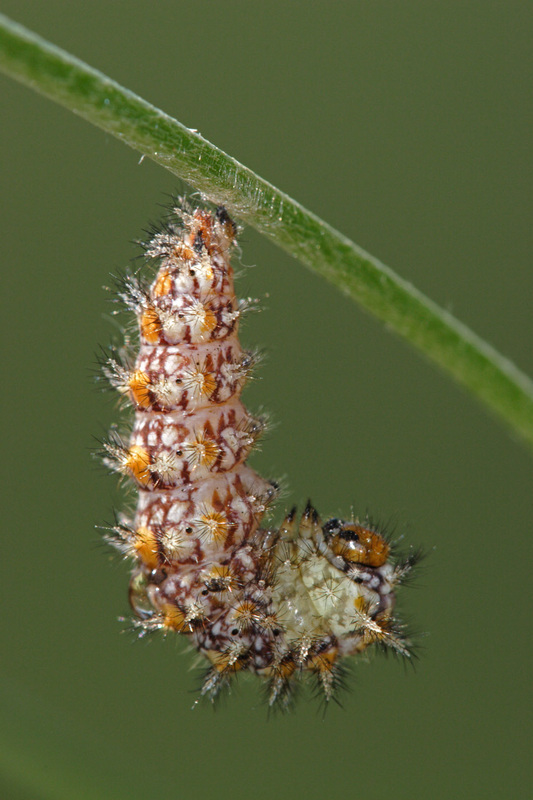 I offered this little creature a few branches and after a while of walking up and down on the branches the caterpillar choose one of them and started to create a kind of thin web. 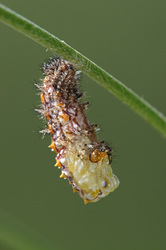 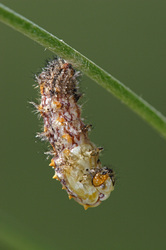 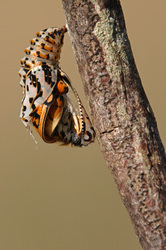 The next day the caterpillar was hanging upside down on the branch and the day after the caterpillar started transforming into a chrysalis (pupa). 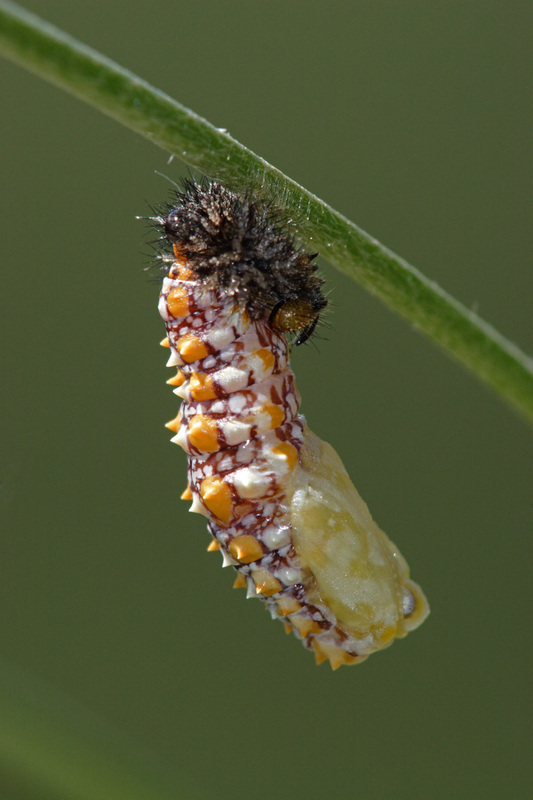 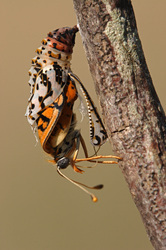 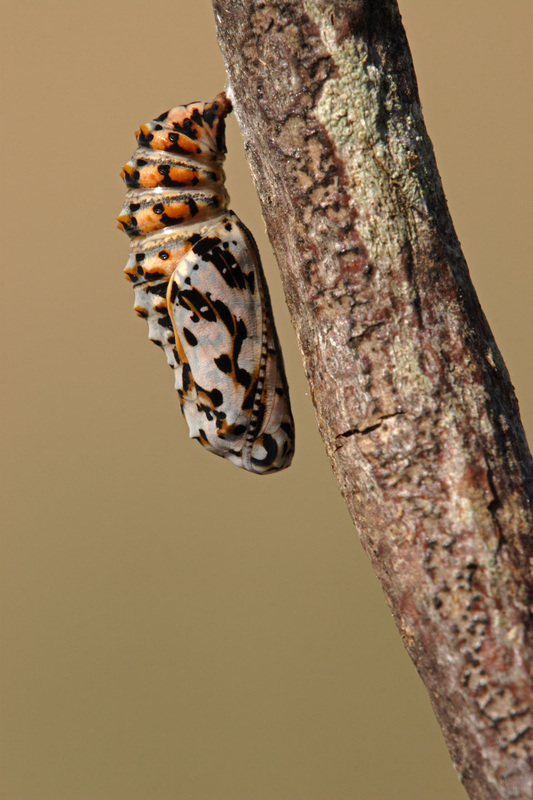 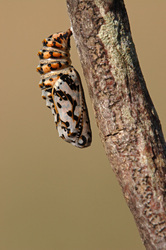 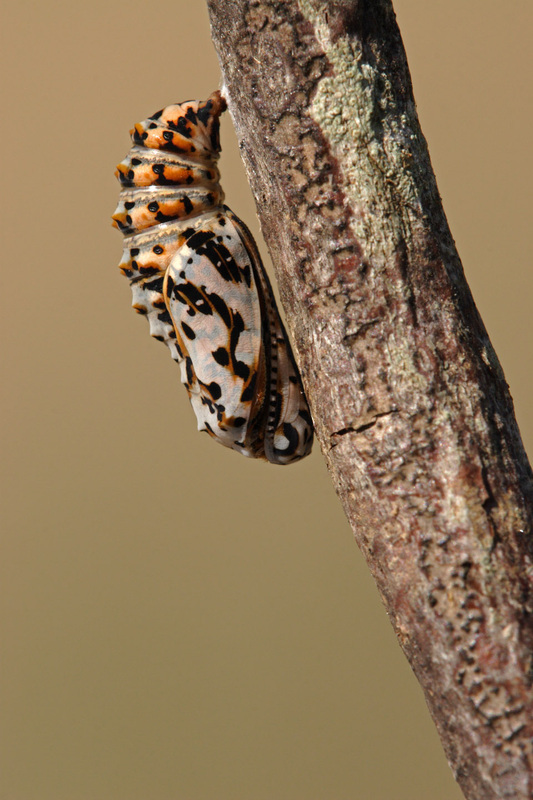 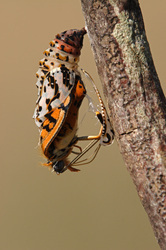 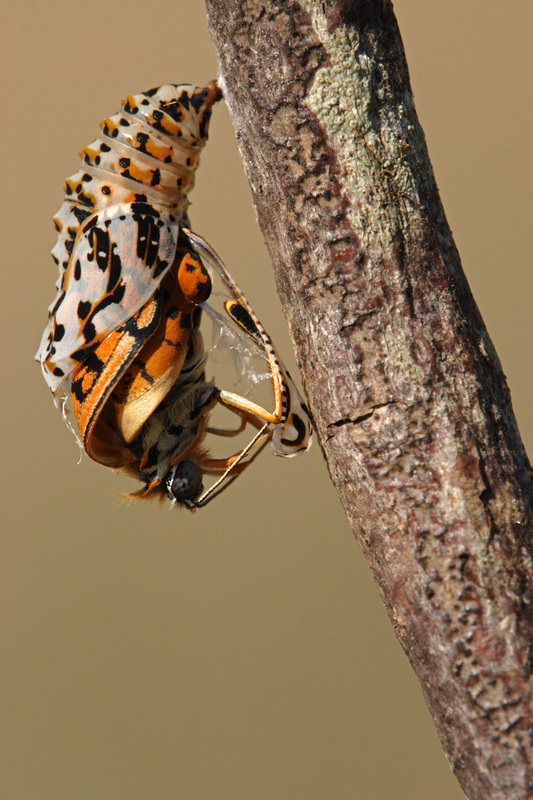 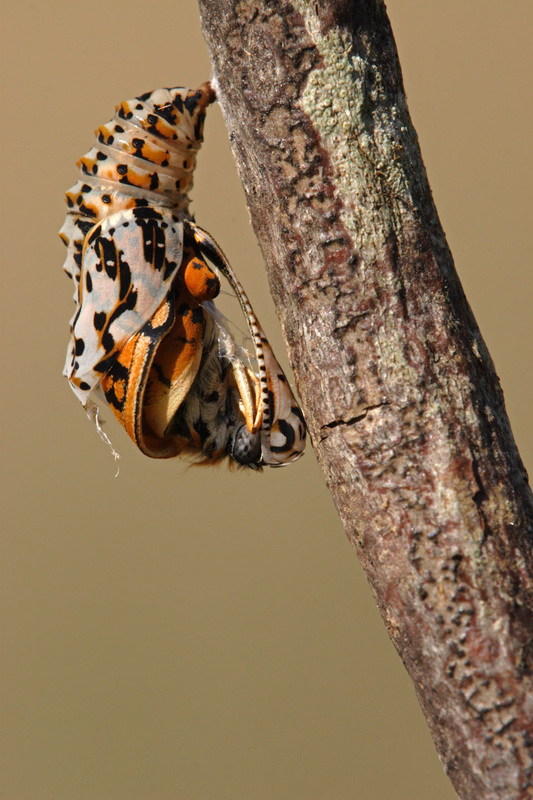 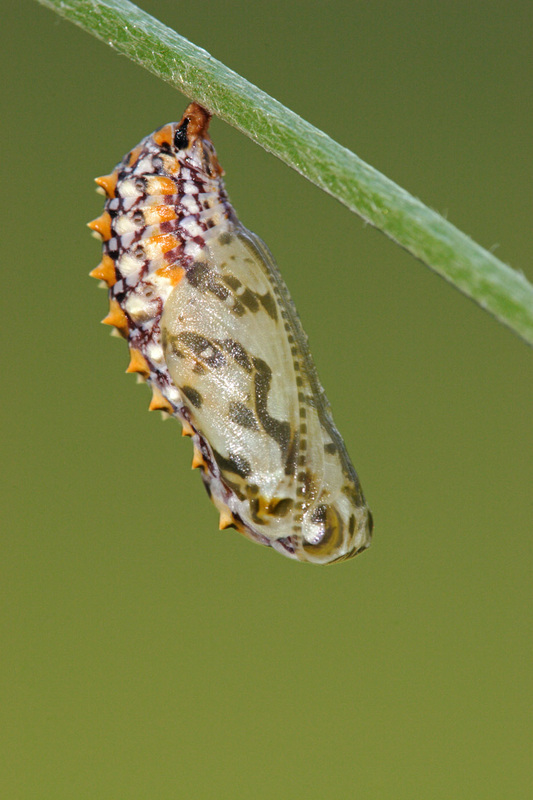 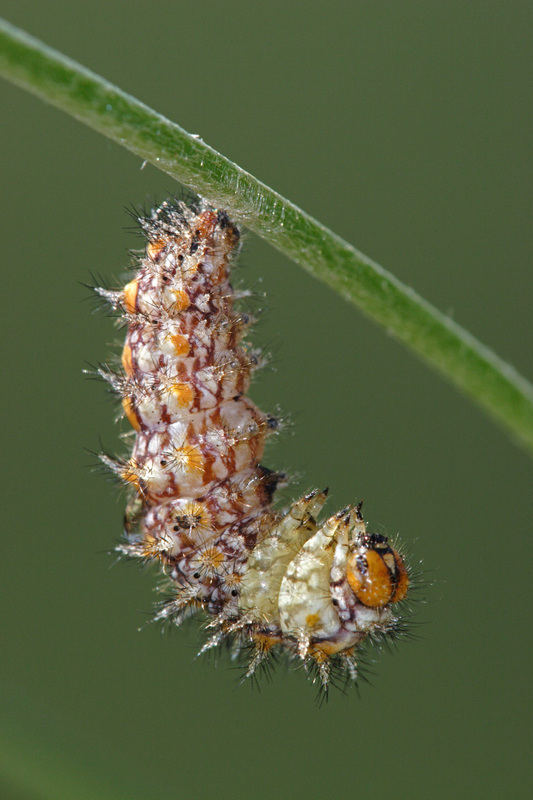 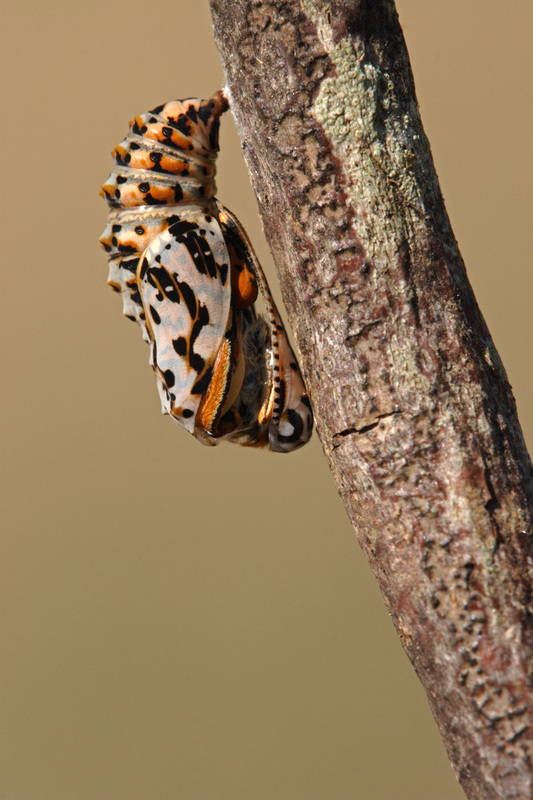 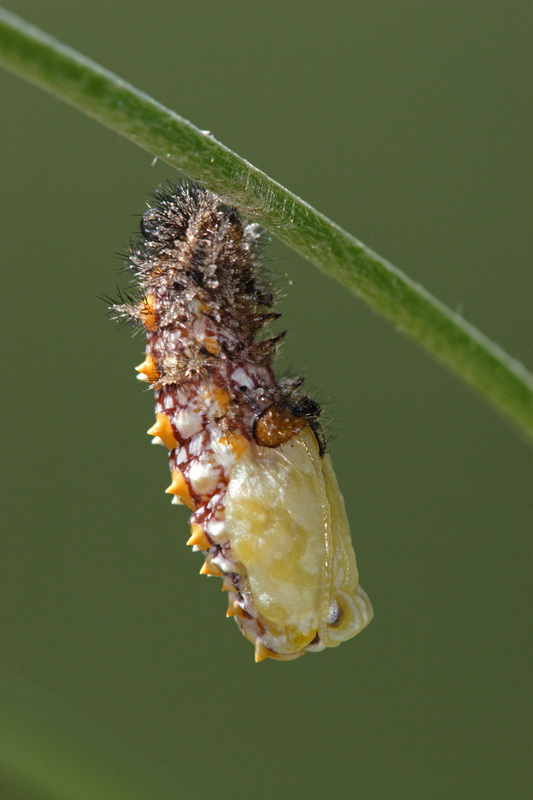 As the temperatures were very high that summer the chrysalis coloured after 10 days and the skin splits open and the adult butterfly drag itself out. 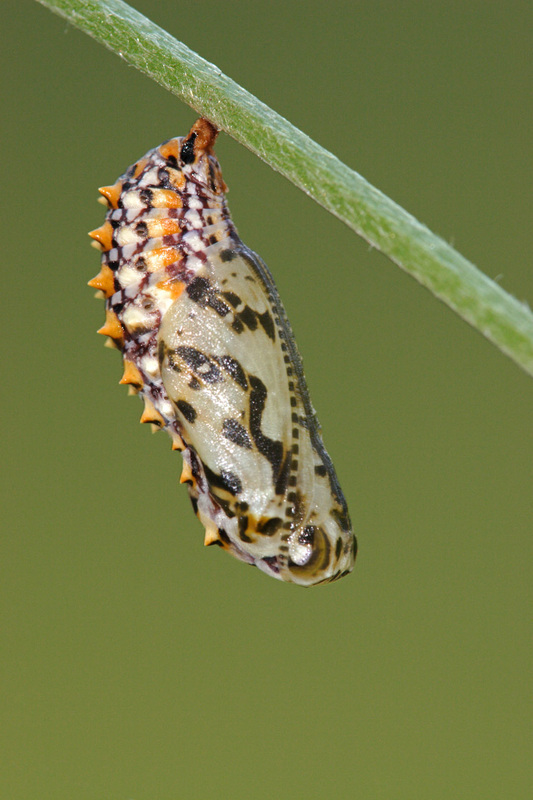 One year later, I was on holiday in the same area again when I found a few caterpillars of the same species but this time they found their own place to pupate. 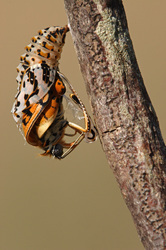 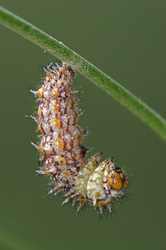 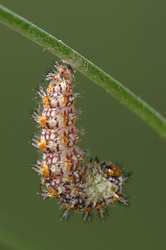 The only thing I had to do was to install my camera and photograph the transformation between caterpillar and chrysalis. 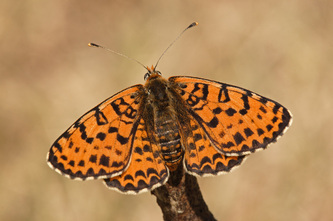 For photos of the other stages please link to my 'regular' page about the Spotted Fritillary (Butterfly Gallery -> Nymphalidae).